The Bronx Music Heritage Center (BMHC) is pleased to announce the “El Elemento del Bronx, a Latin Jazz Tale” roundtable will take place on Thursday, December 22, 2011 from 6:00pm until 8:00pm at BRAC on the Block in the Bronx Art Space. This is the first roundtable discussion that is part of the Shifting Communities 3 exhibit at the Bronx River Art Center. El Elemento del Bronx, a Latin Jazz Tale will be moderated by Bill Aguado of the Bronx Music Heritage Center (BMHC) and artist Hatuey Ramos-Fermin with guests: Elena Martinez, folklorist; Bobby Sanabria, multi-nominated Grammy bandleader, drummer, and educator; Michael Max Knobbe, Executive Director of Bronx Net; Angel R. Rodriguez Sr., musician, arranger and Bronx Living Legends producer; and Al Quiñones, producer of 52 Park Music Series. Roundtable guests have distinguished themselves as Latin Jazz music leaders and historians, representing the Bronx through their creativity and commitment. Participants will discuss the role of demographic shifts in the Bronx in the shaping of the musical landscape of today, the evolution of Latin Music over the last 30 years, and the role of women musicians in the Latin music field. For the corresponding Shifting Communities 3 exhibition series at The Bronx River Art Center, the artist collective Action Club in collaboration with Hatuey Ramos-Fermin and Elizabeth Hamby, use the South Bronx record store Casa Amadeo as a launch pad to explore ideas of community, collaboration and culture. 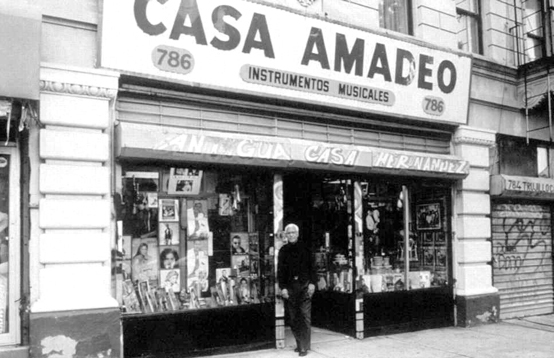 Casa Amadeo is is a spiritual home for our guest speakers and a testimonial to the culture of Latin music—preserving its legacy and celebrating the vitality of Latin Music and Hip Hop in the South Bronx, New York City and International communities. It has served as a venue for the preservation of Latin music and its hybridization of Latin Music with other genres. 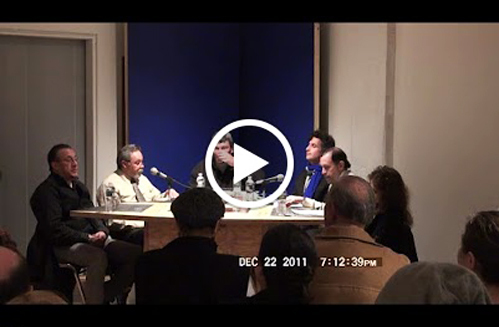 To view the entire Roundtable discussion video online, please click HERE. This conversation will also be documented and added to the growing archive of the Bronx Music Heritage Center where it can be shared with the broader community. For more information on the history of Latin Music in the South Bronx, please refer to "A South Bronx Latin Music Tale" by panelist, Elana Martinez and Roberta L. Singer. Special thanks to artist Hatuey Ramos-Fermin and Bronx Music Heritage Center for co-organizing the event.